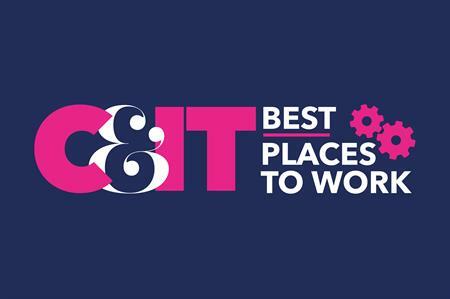 Eleanor Nickerson is the key judge for C&IT's Best Places to Work award. Nickerson is an HR director and was previously director of operations for the Top Employers Institute, where she worked for seven years. Often it's the smaller companies that have less resources to throw at employee initiatives and they can end up feeling like they can't compete with the larger organisations who have fancier benefits and who can often offer have higher wages. The good news is that this simply isn't the case. Smaller companies have a different nature and can offer really attractive working conditions that the larger organisations struggle to create. They are nimble, able to be more progressive and can create unique employee offerings that are aligned to their culture. I always encourage smaller companies enter awards to find what makes them tick, and then put things in place for their people that support that. A lot of smaller companies don't know where to start. They already have a thriving business, great people and a fun culture, but then they grow to a point where they start having problems with their people, or they simply are at a point where they need to take things to the next level. If you don't know where you are, or how you compare with other SMEs, some benchmarking is really helpful. There are lots of ways to do this but taking part in employer accolades is a good way to start and it tends to be low risk too; a great measurement to see how you are doing. You either make the cut or you don't, but either way, you've got something to take away. After this, planning is key. You can look at the results and make a decision whether or not to do anything. It might be a case of saying we are thriving and this isn't an area we need to invest in right now, in which case, get your marketing people to work their magic with whatever accolade you have achieved. Getting them to shout about why you're an amazing employer is what they are good at and it's what potential new employees will be looking for. Best Places to Work is now open for entries. Once the awards have closed for entries, an independent adjudicator, Nickerson, will decide on a gold, silver and bronze winner in each category. Agencies will also be considered for categories recognising outstanding practices around rewards, culture, organisational health and mental health. To enter, agencies must complete a survey and – as part of a bespoke benchmark report (if requested) – will also take part in a telephone interview.